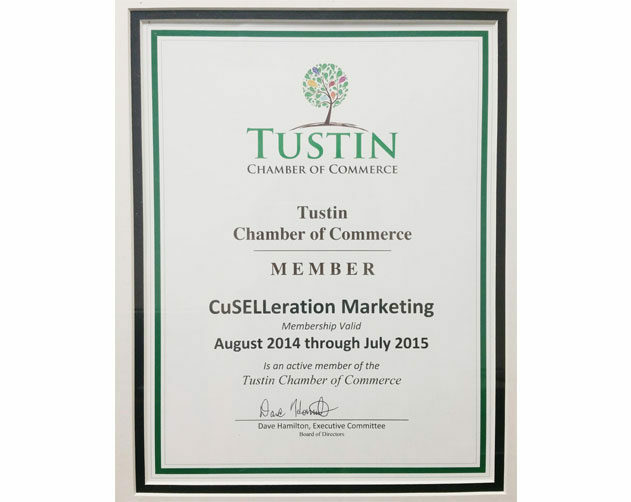 The Vice President of Cuselleration, Cris Cusac, is also the Chairman of the Tustin Chamber of Commerce! 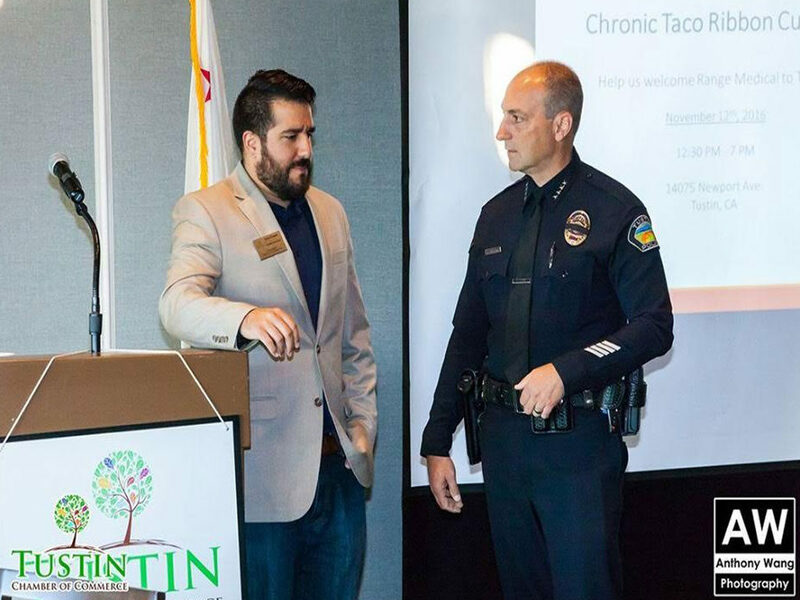 Here he is discussing important matters with the Tustin Police Chief, Charlie Celano, at a Chamber of Commerce meeting. 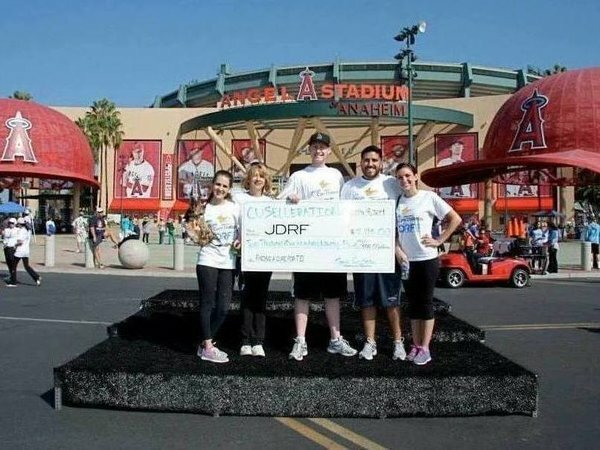 We participated in the JDRF Walk to End Diabetes again in November 2016. 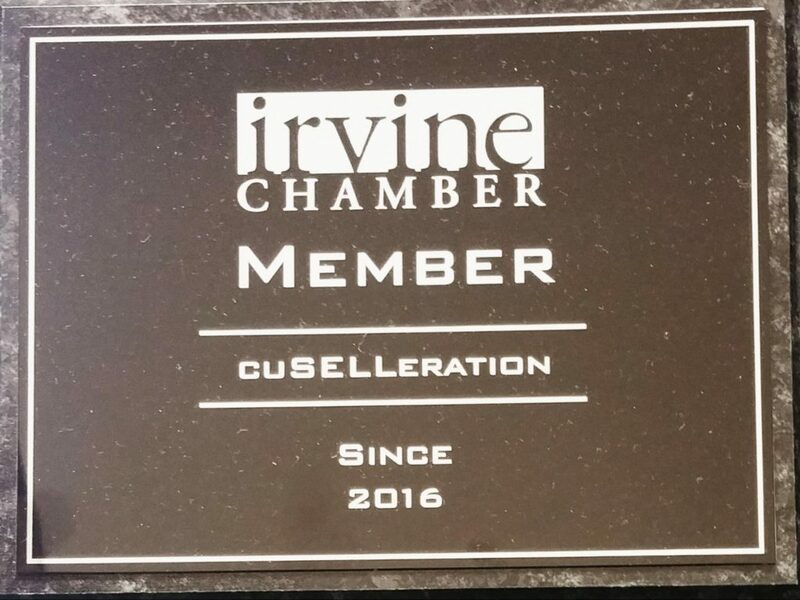 This year we raised over $6,000! 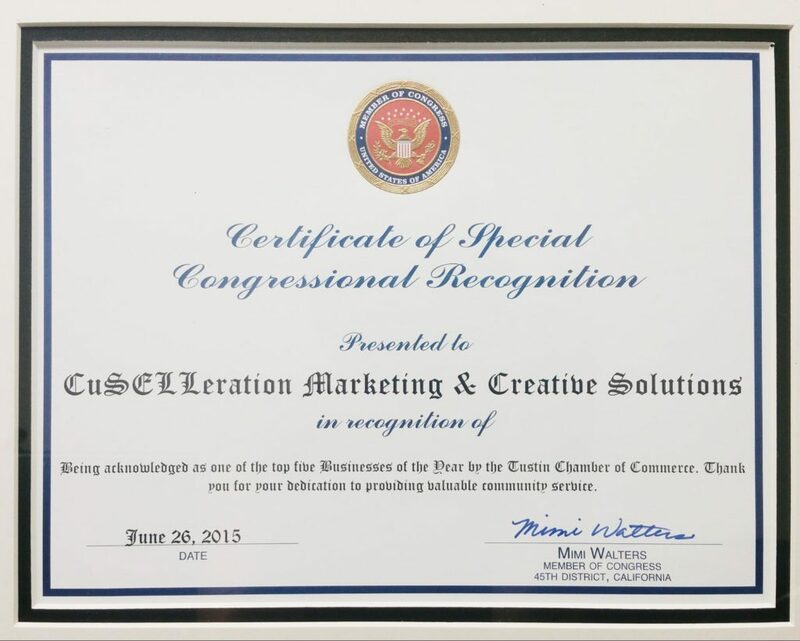 We were thrilled to contribute so much to the cause and placed #3 for corporate fundraising teams. 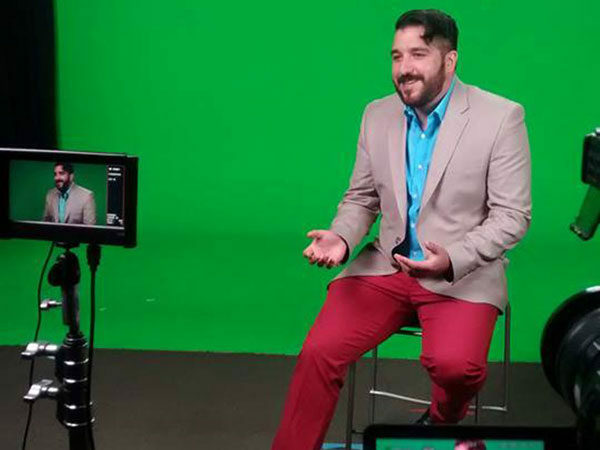 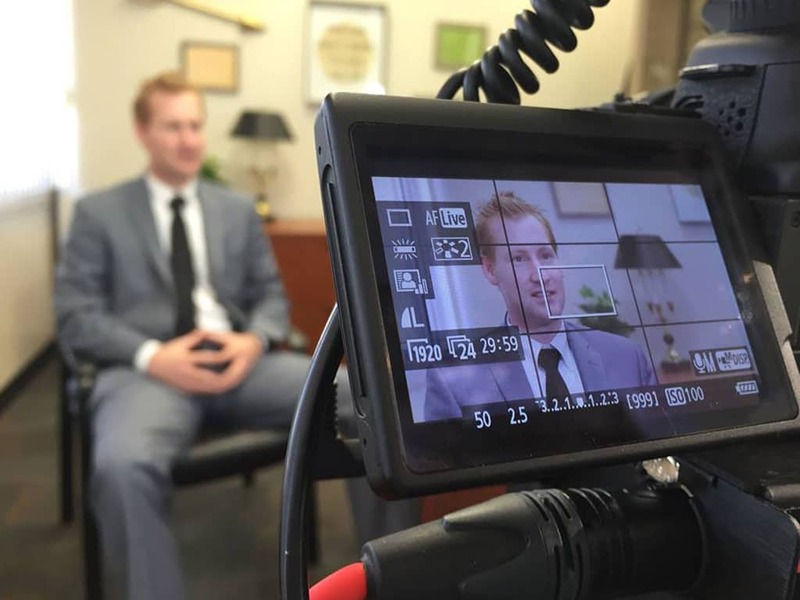 CEO and Entrepreneur, Zac Cusac, filming for Candid Careers at his alma mater, California State University Long Beach. 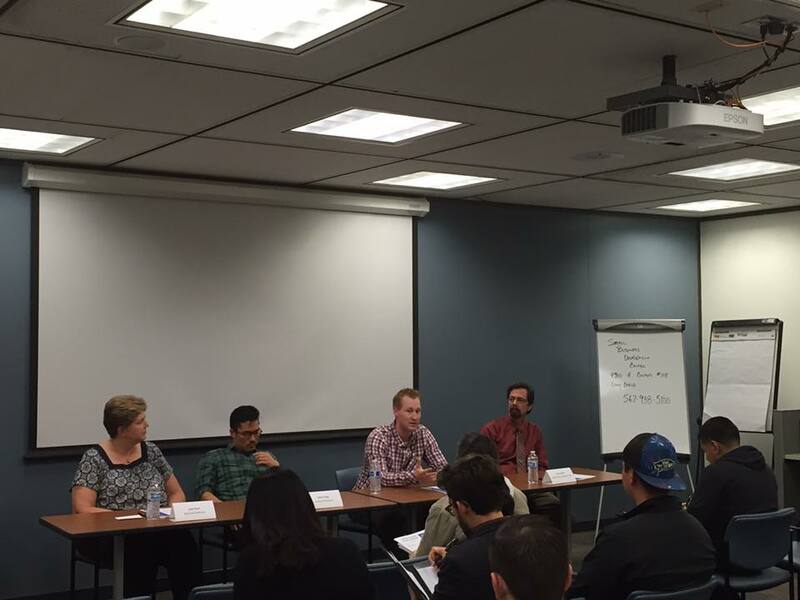 Zac was asked to share his insights about entrepreneurship and what it takes to start your own business. 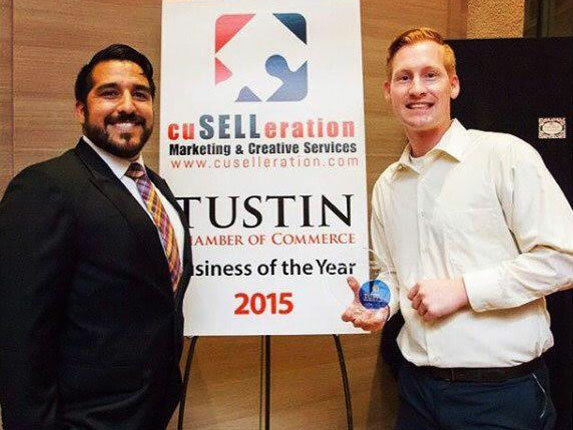 Pictured here is our CEO, Zac Cusac, and Vice President, Cris Cusac, receiving the Tustin Business of the Year Award! 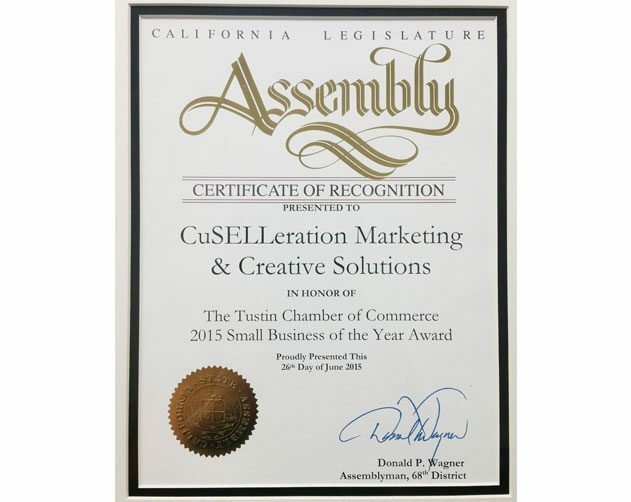 We are honored to receive such a fantastic award and are looking forward to continuing to do great work with our clients. 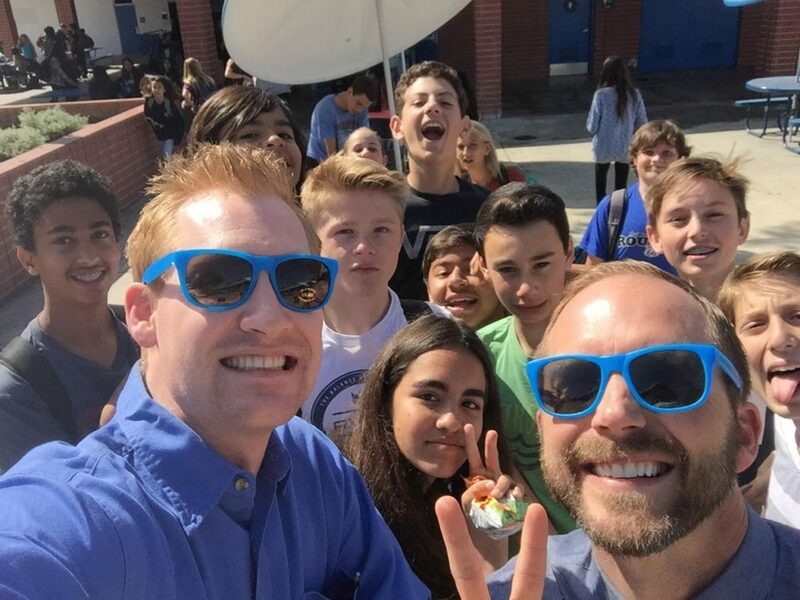 Student Selfie with Principal Kilian! 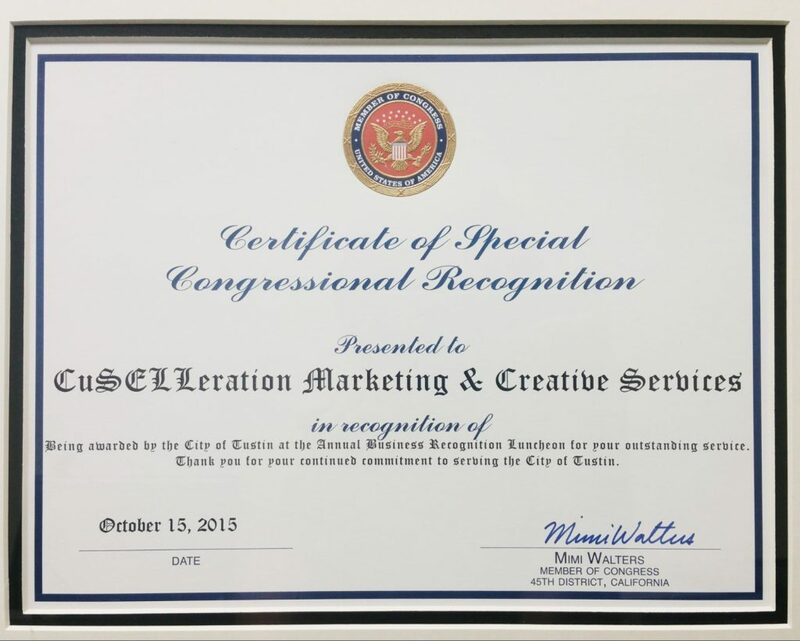 Our CEO, Zac Cusac, served as “Principal for a Day” at Hewes Middle School. 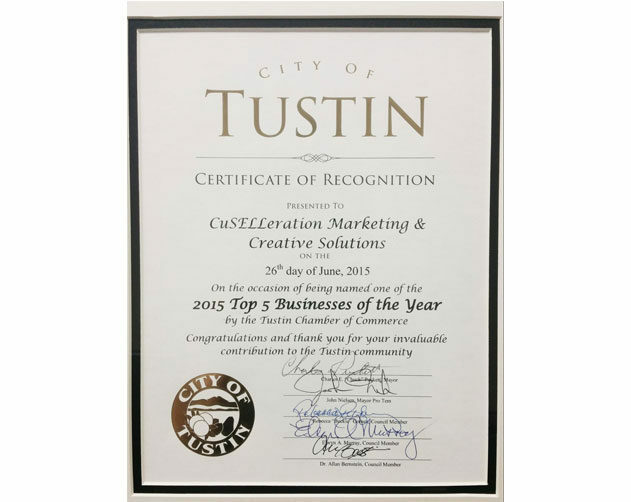 It was a wonderful event put on by the Tustin Unified School District that showcased all the great things happening district wide! 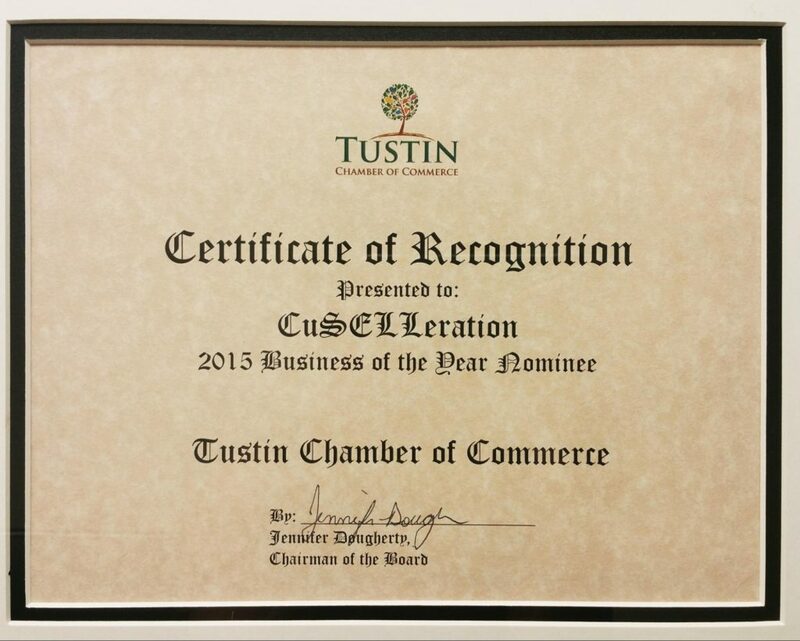 Our VP, behind the scenes, talking about his love for the Tustin Community Foundation. 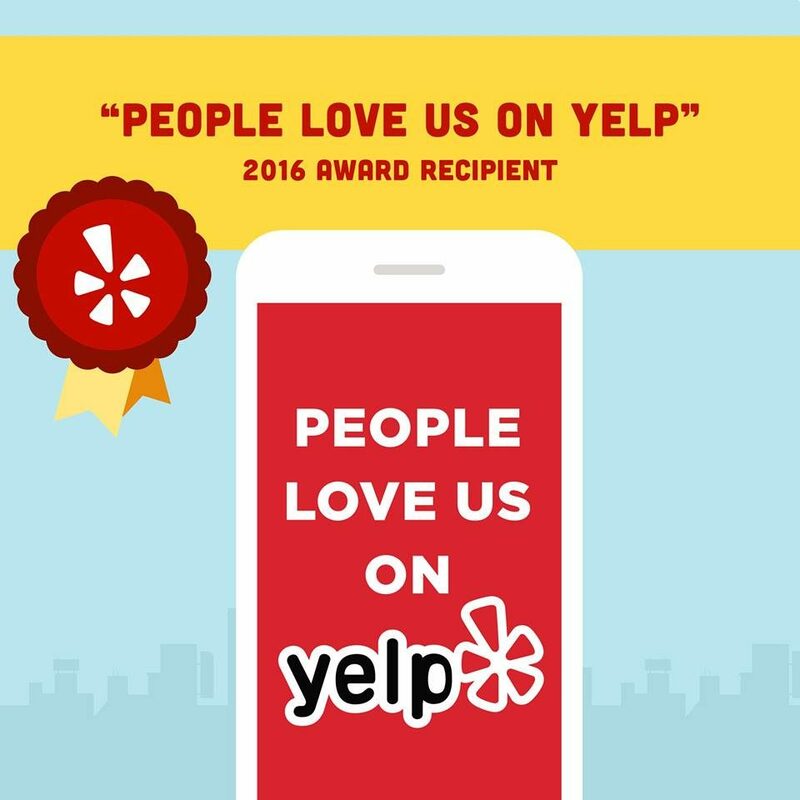 We are constantly finding new ways to get involved with our community! 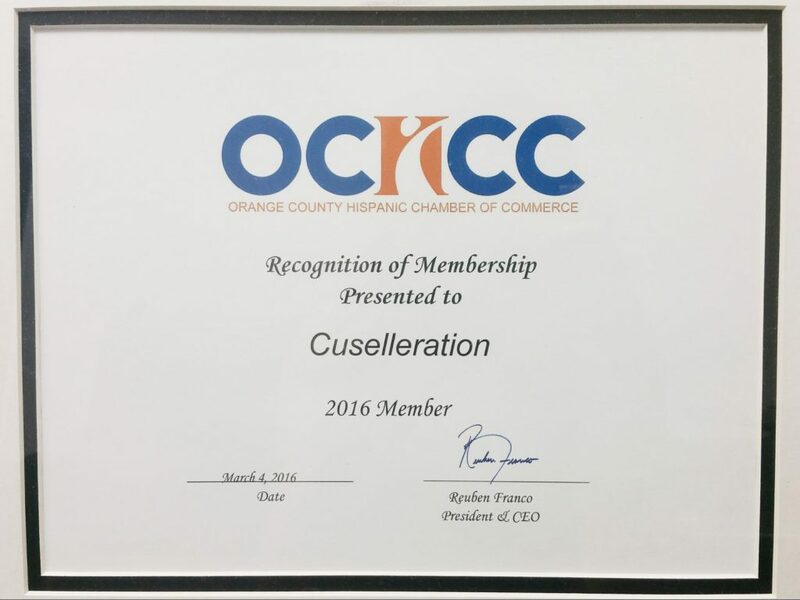 In 2015 Cuselleration team members joined in the effort to raise money for diabetes. 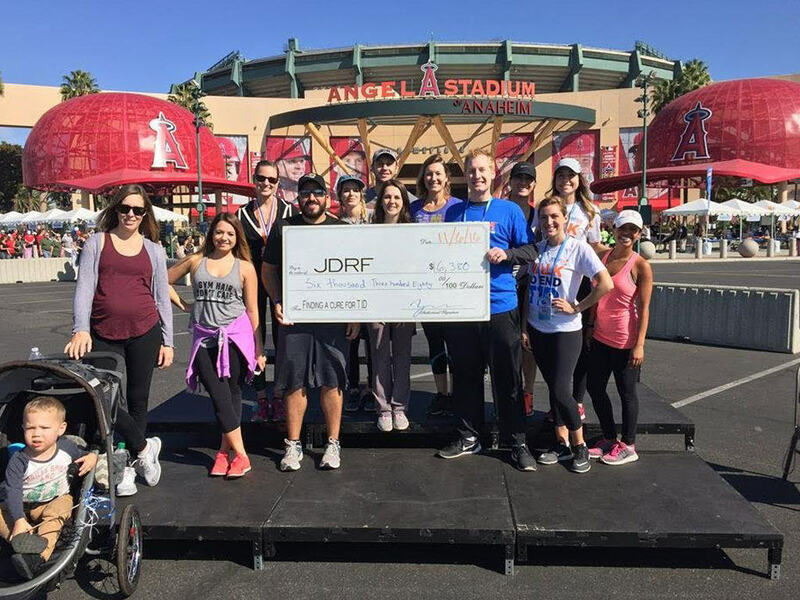 We reached our goal of raising over $2,000 towards JDRF Walk to Cure Diabetes!